Migraines and sin have several similarities. Recently I have had the misfortune of dealing with migraines. The positive thing is that I found out what was causing said migraines (a tooth issue) and have had it fixed, which has resulted in relief. In dealing with the migraines, God has used them to reveal to me how much they are like sin in our lives. It may sound silly at first, but please hear me out as it will make sense when I am finished. When you have a migraine, you don’t want to be exposed to light. When we deal with sin in our lives we honestly don’t want to be exposed to light either. We take the “what people don’t know won’t hurt them” approach and try to keep our sin hidden from others, but no matter how hard we try that sin will eventually be brought into the light for all to see in some form or fashion. You don’t like being told what to do when you have a migraine. The last thing you want is someone trying to tell you how to “fix” your migraine issue. Sin is the same in that we don’t want people telling us what we should be doing to “fix” our sin problem. We would rather just attempt to do things on our own, but we all know how that ends. Migraines cause us to become isolated from others – you just want to be alone and not be bothered. Sin isolates us from the people who love us the most…our friends and family. We seclude ourselves from others because we don’t want to be judged or just don’t want to face others due to the shame we feel as a result of our sin. Both migraines and sin involve pain of some kind – with migraines the pain is almost always immediate and lingers, but with sin pain doesn’t always happen instantaneously…it can take some time before you feel the painful consequences of sin. There are also after effects with both – a migraine may make you may feel weak, fatigued, sick, or exhausted afterwards and sin may do the very same thing. Both migraines and sin can feel paralyzing, in that once you’re dealing with them you feel constricted and can’t move. I’ve often found myself bargaining with God when dealing with either a migraine or sin. “God, if you make this migraine go away, then I’ll <fill in the blank>!” These negotiations are based on things which we never plan on following through – “God, if you get me out of this situation I will go to church every Sunday for the rest of my life, I’ll tithe, and I’ll never do this again!” God can easily see through our child-like pleas and knows what it will take to bring us back around to Him and sometimes it takes us suffering the consequences of our actions. Migraines can happen to anyone…no one is immune. The same is true of sin – the only one who was sinless was Jesus Christ. Romans 8:23 states it clearly – “For ALL have sinned and fall short of the glory of God.” The thing is, just because we are prone to sin doesn’t mean we have an excuse to sin. What we do with this sin us completely up to us. Will you let it consume you and rule your life? Will you ask for God’s forgiveness, turn from it, and use it as a learning experience? What is another illustration you’ve heard comparing sin to something else? 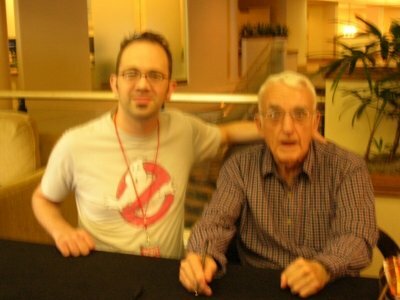 September of 2008, I had the awesome opportunity to meet Brennan Manning. He was speaking at the NPCC Single’s Labor Day Retreat. Mr. Manning was a very meek individual who truly loved God. If you had seen him, he looked like any other senior adult who could have been someone’s grandfather. He shared with us his testimony – a story of alcoholism, being a priest, homelessness, and hitting rock bottom. As someone who loves to write, I’ve had the amazing opportunity to meet two of the authors who have had a huge impact on my life (Brennan Manning and Donald Miller) and both interactions left me loving these two authors even more than I did prior to the encounters. I was saddened to hear that Brennan Manning passed away last week. In memory of Mr. Manning, I wanted to share a few quotes from The Ragamuffin Gospel that really blessed me. Music is an integral part of my life. I listen to just about any and every kind of music (although I just can’t get into country or southern gospel). Certain songs have had more significance in my life during a specific season. At church, from time to time, we sing Always by Kristian Stanfill. We sang it again last night at Night of Worship and it really spoke to me in a new way. Oh, my God, He will not delay. My refuge and strength always. I will not fear, His promise is true. My God will come through always, always. Up until recently, I was listening to the lyrics and thinking “God will not delay?! My God will come through always?! Yeah right! I don’t think so…He isn’t doing a thing in my situation.” I let my circumstances (being without a job for almost 16 months) determine my view of God’s movement (or lack there of in my mind). I couldn’t see who God truly was because I was blinded by what was going on around me. Watch the video below – may the lyrics of the song encourage you and help you remember God’s timing is perfect. Londrina – It’s Been Amazing! 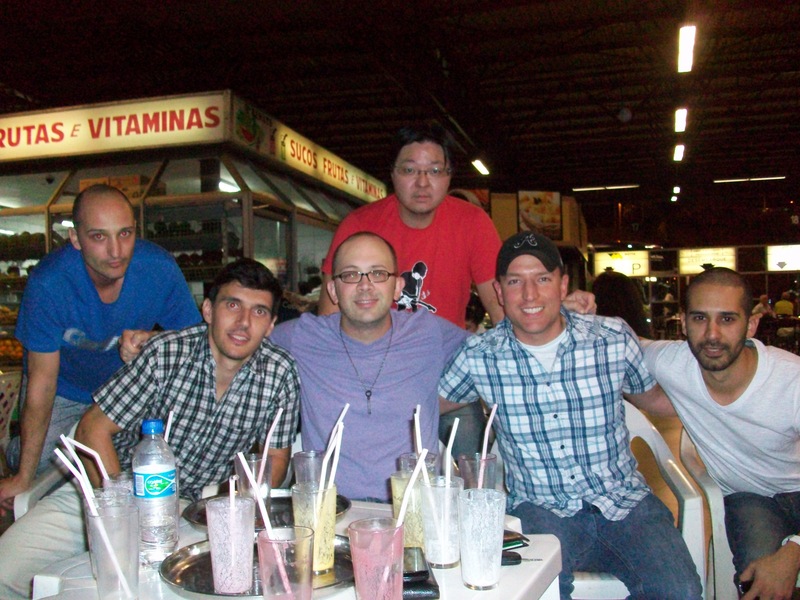 Adam and I with the Brazilian guys. It’s hard to believe that tomorrow (Friday) will be our last night in Londrina. The time has gone by so fast as it seems like we just got here. Tuesday night we helped them create an environment called Muvuka (our definition was “A relevant gathering for building community” but in Portuguese it means “a mob or large gathering”). This night was much like our Singles Gatherings at Buckhead/North Point Community Church, but it was geared more towards their culture. Wednesday we had an amazing Brazilian BBQ (steak marinated all day and then cooked on the grill along with several traditional Brazilian side items) at the home of our Brazilian friend Ely and his family. On Wednesday, we also spent some time sight seeing in Londrina and were able to see a really cool Catholic church that is a big part of Londrina’s history. Tonight (Thursday) we ate dinner at a restaurant in the bus station (believe me, it was MUCH better than it sounds) and then we enjoyed fresh squeezed fruit juices while we talked for hours with several of our new Brazilian friends. Tomorrow (Friday) is a holiday in Brazil (their equivalent of our July 4th) and Capella is having a picnic and doing baptisms (around 15 people will be getting baptized – including our new friend Carlos). We will be leaving Londrina at 11:00 PM Friday via bus headed to Iguazu Falls where we will arrive around 7:00 AM on Saturday morning. We will spend all of Saturday at the falls and then will begin our travels back to Atlanta. It’s been an AWESOME time seeing God at work in our Brazilian friends and their church…it will be very hard to leave them tomorrow evening, but we will be keeping in contact with them via e-mail and Facebook. We hate to leave Londrina, but we are exciting about getting back home to see our friends and family. Please continue to keep our team in your prayers as we travel to Igauzu Falls and then back to Atlanta.